The following guest blog post was written by Tracy Rodgers, a dental hygienist who works for the Iowa Department of Public Health. The question: What are some results of Iowa’s I-Smile dental home program in 2014 compared to 2005? Over the past eight years, Iowa’s I-Smile program has successfully coordinated care for thousands of at-risk families and expanded local dental care through relationships with dental offices. Leading this work are 24 dental hygienists who serve as community-based I-Smile coordinators for all of Iowa’s 99 counties. The coordinators develop local partnerships, build referral systems, coordinate care, train health care providers on oral screenings and seeing children younger than 3, promote oral health in their communities, and ensure gap-filling preventive services are offered to underserved families. I-Smile is a partnership between Iowa’s Medicaid program and the Iowa Department of Public Health, the result of legislation in 2005 that Medicaid-enrolled children have a dental home. State and federal funds support I-Smile through contracts to the 24 community-based projects. Iowa’s Medicaid program is no different than many states’ — reimbursement is below the usual and customary payment of insurers, making participation by dental providers less than desirable. But many do participate and seem more willing to do so when working with a local I-Smile coordinator. In 2014, 149 more dentists billed Medicaid for care provided to children than in 2005; 56% of dentists who were enrolled in Medicaid in 2014 provided a dental service to a child between the ages of 0-12. More Iowa kids are getting dental care through I-Smile, within private dental offices, and also by dental hygienists and nurses in schools and other public health settings. More kids are also being linked to other needed health services — immunizations and lead testing, for example. An I-Smile coordinator told us about a grandfather, who was the guardian of his grandsons and was worried that he couldn’t afford to pay for the oldest grandson’s pre-kindergarten dental screening, which is required by state law. In addition to providing the screening and completing the required paperwork, the coordinator also helped the grandfather enroll his grandsons in Medicaid and set up dental appointments for both boys — the oldest had cavities and the youngest had never been to a dentist. The coordinator even found out the youngest boy needed new eyeglasses and assisted in helping him take care of that as well. This is one of many stories that I-Smile coordinators share about helping at-risk families access the health services that they need. 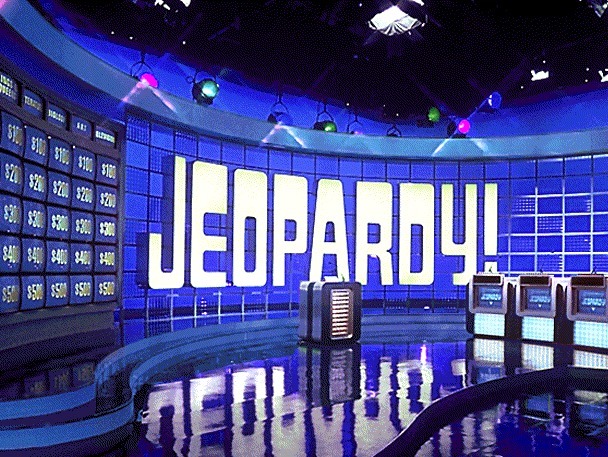 We realize that even with the successes we have had, Iowa children’s oral health isn’t entirely out of “Jeopardy.” In particular, too many kids do not see a dentist until after age 3. And the common barriers for families in accessing care — transportation, affordability, and convenient office hours — have not been eliminated. Simply put, there is more work to do, so I-Smile will keep working. “Healthier Kids” is a category worth winning.